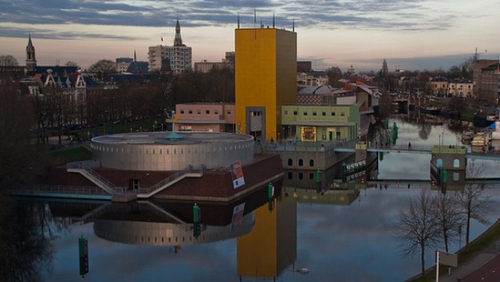 Groningen’s troubled museum of modern art is to be subjected to tighter financial control after losing more than €1 billion in the last year. The provincial administration and the city council have each appointed a financial supervisor to the Groninger Museum, which receives annual subsidies totaling €4.5 billion. Cultural subsidies for the arts have come under heavy pressure under the centre-right coalition government’s austerity programme. The two supervisors will monitor how the subsidy, which is due to be cut by €300,000 from 2013, is spent. The museum, which moved into its eye-catching current home in 1994, has struggled financially since undergoing a rebuilding programme which overshot its budget by €600,000. In April this year the management secured a loan from the city council, which owns the building, of E700,000 – still leaving a hole in its finances of €300,000.